Cassandra all handmade leather sandal. A new Marbe style, the Greek sandals feature a criss cross of leather straps peep toe all handmade. A new Marbe style, the Greek sandals feature a criss cross of leather straps peep toe. 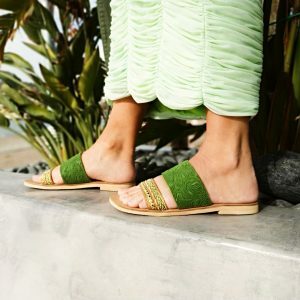 Handcrafted from genuine leather, these simple sandals are easy and chic enough to wear from the beach to the street.Comfortable for feet, Perfect traction! We are producing everything in Greece , We are using Greek materials , We are providing Ancient Greek names and history and our Goal will be to get loved by you !! 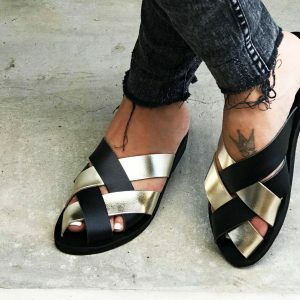 Ancient Greek black Leather fashion Sandals made from 100% genuine leather. In Marbe store you can see more than 50 designs in Women's Leather Sandals you can wear all day and night all made in our workshop!!! We love a leopard print sandal , especially if it's served up with a genuine leather . Crafted in Greece from genuine black leather and suede, these comfortable open toe pair feature a must have design. We're styling this pair from rolled up denim to mini skirts. Gladiator Black sandal -Antiope A summer-fresh genuine leather sandal in black color with high quality anti-slip rubber sole at bottom , intensify the earthy appeal of a gladiator-inspired sandal that perfectly pulls together your boho-chic look. Of course totally handmade ! !